Hey there! :D You are welcome to subscribe to my journal. I make about 50/50 public/access list posts. I'm slightly picky in who I give access to, but I just have to know you from somewhere. Graphics are at thisisagraphicscomm with my older stuff at quadrupled. Other stuff is in the links in the sidebar. 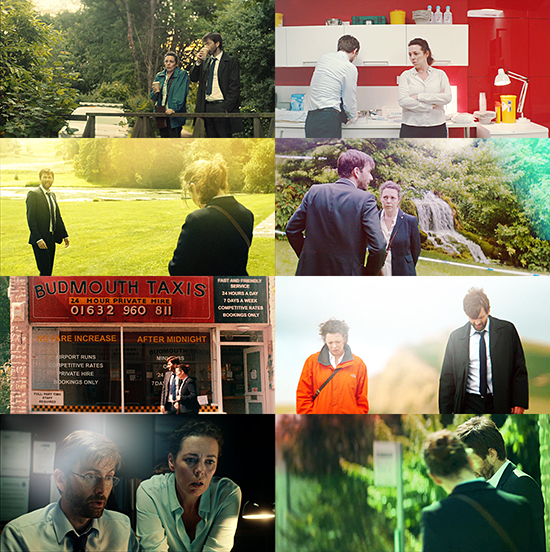 I am literally still not over Broadchurch just fyi. Slowly making my way through the fics on AO3. I started a Stargate SG-1 rewatch. Currently somewhere in season 3. This show remains as great as ever. The show is a very funny journey down late 90s hamfisted attempts at what a bunch of guys thought feminism looked like while still being so cluelessly unaware of all the ways in which they were not feminist at all. I'm so good natured about it only because it was 20 years ago and there's no point being anything other than amused at this point. I don't want to be angry at a thing I love for something that's done and over with. But damn, especially season 1.. haha. And I don't even mean just the gross stuff like Emancipation or Hathor but just weird stuff - Sam's characterization surprised me by being much more confusing in season 1 than I remember. She's her, yeah, but there's this weird other vein where she's being the psychologist of the group in several episodes for reasons I can only assume are due to her gender. Also in the episode Singularity (first one with Cassandra), Teal'c makes some comment about how Sam just knows that Cassandra would be fine due to "mother's instinct" like whaaaaaat can we not, Sam is the WORST at mothering, ahahaha. As we all must know by now, the next Doctor on Doctor Who will be a woman. (Yaaas.) This is coinciding with Moffat finally leaving. I always said I'd give Who another go once he's gone, and I am going to be true to my word and see if the new showrunner's any good! In order to ease myself back into it, I thought I'd get to know the new Doctor's actress a little. She's done lots of stuff but Broadchurch was on my netflix so it was easiest to watch and I'd heard good things about it, so I decided to watch. And OMG am I glad I did. I LOVED IT!!! I mean, new Doctor aside, I really loved the show. (I mostly forgot that she was the reason I started watching the show after about 2 episodes.) I would say it's basically a Brit version of The Killing, which I adored. 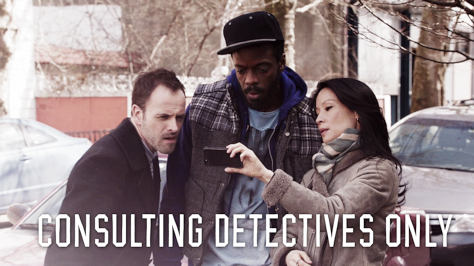 One case/story over a long period (multiple seasons), lady cop that I LOVE*, unlikely partnership that scratches my itches in all the right ways.. YES GOOD THANKS. I'm really sad they only did 3 series of Broadchurch. :((((( And Hardy/Miller is my ship flavor of the moment now. *so my love for Ellie Miller is just like, okay, she's so optimistic and wants to save the world and she endures unimaginable pain, such a specific kind that very few people have to go through (trying not to spoil here), but she comes out the other side and she's STILL optimistic and STILL upbeat and STILL so empathetic and that's her best feature THAT'S what helps her solve crimes THAT'S what makes her so crucial to Hardy, so irreplacable, and no she's not perfect by any means, but her humanity is what gives her the edge and helps her see the things he misses - that and her CRAZY CRIMESOLVING WALLS (my favorite) - that helps her connect to victims she fights for, and she doesn't let Hardy's gruffness get to her, she's just like oh shut up, she's amazingly strong to be there for the best friend that hates her, and I just???? LOVE??? HER?????!!!!! Here's a convenient list of Miller's 10 best moments ahahha my laughter devolves into sobbing because I love her so much. P A R T N E R S.
I like how I posted a whole list of tv that I desperately needed to catch up on, and then proceeded to catch up on NONE OF THEM and instead (after finishing The Americans), doing a COMPLETE REWATCH of Star Trek Enterprise. I went looking for screencaps and found basically none (only what's at trekcore, and since when are 600 caps for a whole episode an adequate amount? NEVER). So guess who has undertaken the project of capping the entirety of Enterprise? Honestly, the show has some really beautiful shots. (Especially in the last 2 seasons.) I mean, nobody's going to be interested in these caps besides me so this is probably a ridiculous undertaking (especially considering I only get on my computer like 1-2 days of the week anymore) but oh well. HEY HOW ARE YOU ALL sorry I'm the worst at life journaling. I pretty much stopped watching tv for a long time. I hardly watched anything for a year. If I watched anything it was just random youtube videos that I'd fall asleep to halfway through. And I'd watch things that were available on Netflix because it meant I didn't have to turn on my computer and download something. But lately I've been making the effort to rediscover my true love (television) and get caught up on things. also watching tv, making icons, writing fic, reading comics, and generally fanning it up.